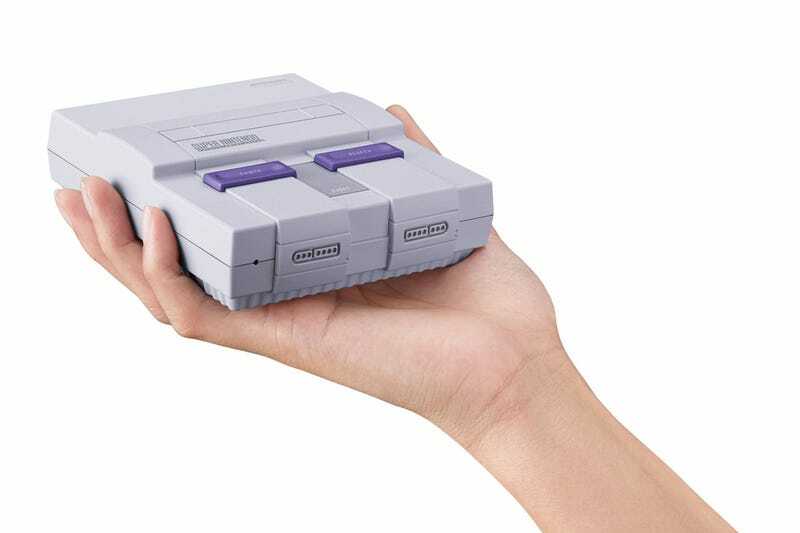 Were you able to pre-order an SNES Classic this week? Don’t worry: neither were we. Let’s all cry together on today’s Kotaku Splitscreen. 1) Kirk and I will be doing a 12-hour streaming marathon on Tuesday August 29 called “KIRK AND JASON FORCE EACH OTHER TO PLAY GAMES.” It’ll be on the Kotaku Twitch channel and we’ll have a full schedule up on Kotaku Tuesday. Get stoked. 2) Don’t miss Kotaku Splitscreen Live, on Friday September 1 at PAX in Seattle. I’ll be giving away free signed copies of BLOOD, SWEAT, AND PIXELS and it should be a lot of fun. As for this week, well, first we talk about our adventures vacationing and eclipse-hunting before jumping into the news of the week (17:04) including Super Nintendo Classic pre-order disasters, Kyrie Irving screwing up NBA 2K18, and Brink going free-to-play. Then we talk about a bunch of games (33:07) including No Man’s Sky, Final Fantasy Tactics, and Madden’s surprisingly excellent ‘Longshot’ story mode.